I’m so glad to be back celebrating “Making it thru Monday” with you! Last week was Memorial Day, so everyone (including me) spent time with their families. I can’t wait to see what you’ve been working on lately. 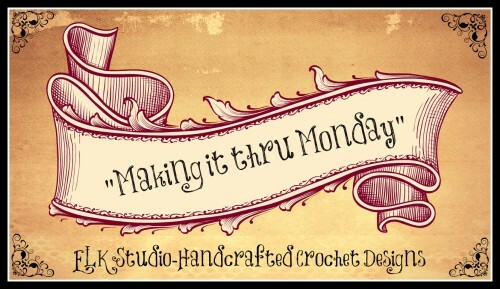 If you would like to join in the fun, email me a photo at elkstudiocrochet@gmail.com or upload your picture to my ELK Studio Facebook page! 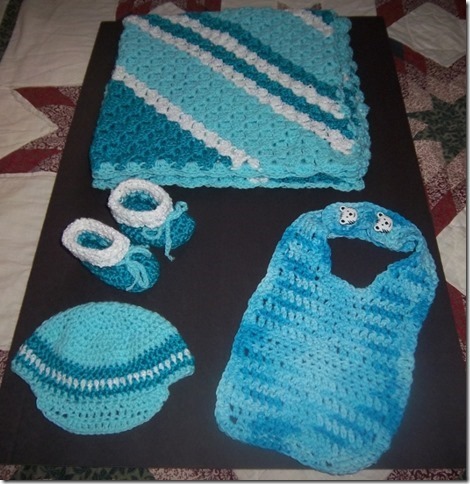 Merry is expecting a new grandchild soon and look at all the wonderful goodies she’s made for him. The blanket, booties and everything else is amazing. I hope she’ll send us a picture of that sweet and precious baby wrapped up in her wonderful creations. 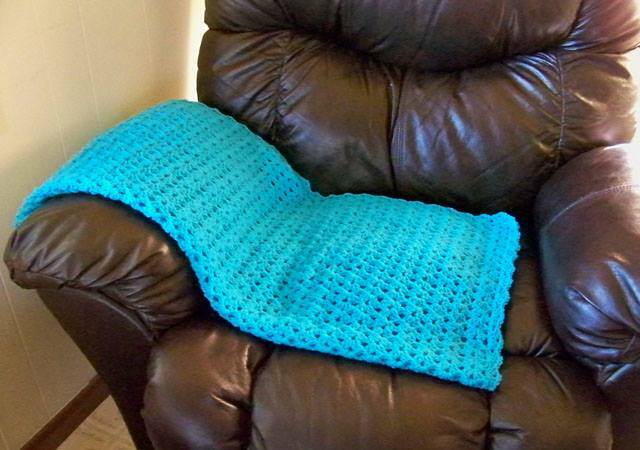 Next up is Debbie, and she’s showing off a baby blanket! I always love when I get to see Debbie’s projects. If you’d like to see more of her work, check out her Etsy shop! Come join the fun and see what’s going on over at my ELK Studio Facebook page!